From a writer of the somewhat similarly-themed Misfits of Science. Heroes was an ambitious Story Arc-based series about what would happen if people with super powers started appearing in the "real" world. Heroes is best known for certain things: its overwhelmingly vast array of characters, its heavy, complex, and fast-moving storyline, its creative use of online content... and the characters' almost embarrassing stupefying Genre Blindness and mis-application of their powers, not to mention a plethora of bad decisions. If there was a "This Will Not End Well" trope, Heroes would be the poster show. The first "Volume" (see note below) of Heroes started out somewhat slow, but it soon matured and was entertaining, engaging, and interesting. The show picked up tremendous speed as the story progressed, and received high ratings and critical acclaim. Sadly, the second Volume didn't do quite as well. The storyline became muddled and there were several mistakes made in regard to newly introduced characters, pacing, plot and overall characterization. Fans were so vocally disappointed that Tim Kring, the producer and mastermind behind the series, felt compelled to apologize publicly in an open online letter to the fans. Some of the blame is attributed to the writer's strike that year, as it cut the season short and drastically altered the plans for the show. Unfortunately, the series has never fully recovered to the general audience. The third Volume seemed to be getting on track, with several interesting plot twists as early as the season premiere. Unfortunately, after starting with some interesting Character Development, it took a sharp turn off a cliff into a Random Events Plot with little coherence. The characters started acting very strange and almost every plotline from the first 75% of the season was either forgotten or ignored. The Fourth Volume struggled to get back on track - Your Mileage May Vary widely as to what extent they managed it. A lot. Volume Five "redeemed" the show quality-wise for some other people, further fragmenting the show's already Broken Base. 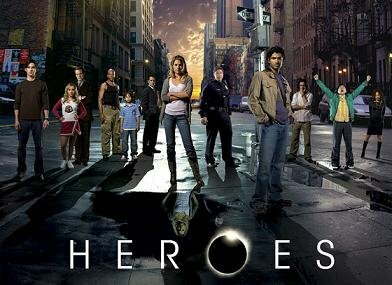 On May 14, 2010, NBC officially cancelled Heroes and all hell broke loose. While there were some rumors of a follow-up television event or more dabbling in the Expanded Universe to clinch the series, nothing came of it until September 2015 and the premiere of the 13-episode Sequel Miniseries Heroes Reborn. Be sure to check out its character sheet page. NOTE: Heroes, wanting to be different, has "Volumes" instead of seasons. Each Volume is its own Story Arc: Volume 1 = Season 1; Volume 2 = Season 2; Volume 3 = Season 3 in the winter; Volume 4 = Season 3 in the spring; Volume 5 = Season 4. The ending episode of each volume includes a sneak peek at the next volume so Volume 5 ends with a cut-in to Volume 6 (which never materialized, as the show was canceled after Volume 5). Got that? (If not, don't worry too much; it's what editors are for.) This is probably because it's meant to be about comic book style superheroes. Warning: This page, much like this entire web site, contains no small number of spoilers. Reading it before watching the episodes will ruin plot points, wilt your geraniums, drive your pets crazy, and make you get a hair cut. This page was last edited on 18 December 2016, at 19:50.